For many companies, a state of constant change has become the norm. Technological innovation means daily workflows are always evolving, while fluctuations in demand, shifting cultural values and the constant need to stay ahead of the competition mean businesses must be able to rapidly adapt. Agile infrastructure is a key part of effectively managing change. As such, business telephony should be scalable, flexible and responsive. However for many, the pace of business change tends to overtake that of infrastructural change. The workforce is getting increasingly mobile, but telephony remains to be split between line-based and mobile-based systems. Budgets are being scrutinised, yet money continues to be directed towards the upkeep of decade-old IT systems. Updating outdated, legacy telephony systems to a modern solution is the obvious answer. And it makes sense. The end of traditional, ISDN-based telephony is looming. In fact, BT plans to completely phase out ISDN services by 2025 – meaning moving to hosted, IP-based telephony is simply a matter of time. Many businesses have already gone down the SIP trunking route. It gives them a cost-effective, flexible telephony network that uses ‘virtual lines’ rather than physical wires. Because data is carried over an internet connection, there are no restrictions on call capacity or location. There’s also no dependency on physical hardware, and no limit to scalability. How business-critical is voice to your organisation? To get the answer, think about what might happen if your phone lines were to go down. How much business would be lost, and how much reputational damage would the downtime cause? If it’s more than you’re comfortable with, a robust solution is necessary. As well as this, consider your business’s current needs and future demands. If you rely on seasonal staff, or business growth is on the agenda, your telephony capacity should be flexible enough to scale with minimal disruption. In addition, what features of a modern phone system could help improve productivity across different departments or enhance customer service delivery? Intelligent call routing, hunt groups and call reporting are just a few ways your business could benefit. To calculate the ROI of SIP trunking you’ll need to examine how much your business spends on all aspects of its telecommunications – rentals, maintenance and call costs – as well as the costs of increasing capacity. Then, compare that to the equivalent SIP trunking solution. SIP channel rentals and calls are typically up to 40% cheaper than traditional ISDNs. 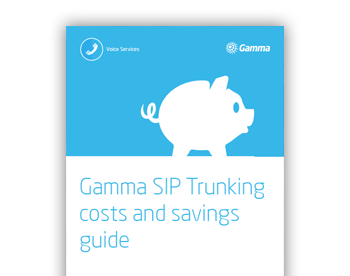 These savings can be even more pronounced when you take into account the limitations of your current system and include the additional benefits of SIP, which can often include free calls to certain number ranges as part of the service. It’s also worth considering the additional cost benefits of SIP beyond pure saving on the bill. The ability to combine voice and data networks mean there will less of an administrative burden on your business, as well as simplified expansion potential longer term and line rationalisation savings short term. Make sure you have an implementation strategy in place to ensure a smooth transition to SIP. Speak with your provider to establish how long the process will take and schedule this with customers, clients and employees accordingly. Normally, porting existing numbers and building SIP trunks takes up to 25 working days to complete and often providers will keep your existing service live whilst the install takes place to minimise downtime, if any at all. At the same time, be sure to alleviate any employee concerns and address any queries other stakeholders might have. Telephony affects all staff, across all levels, so it’s important to have a training plan and deployment timeline in place so that everyone can benefit from the new features and functionality. Putting forward a business case for SIP can be difficult, especially if others in your organisation have a “if it ain’t broke, don’t fix it” mentality. However, in order to future-proof your organisation against change, and give employees the best tools possible to do their job, it’s crucial to get the management team on board and excited about the modern telephony solutions that are now available.